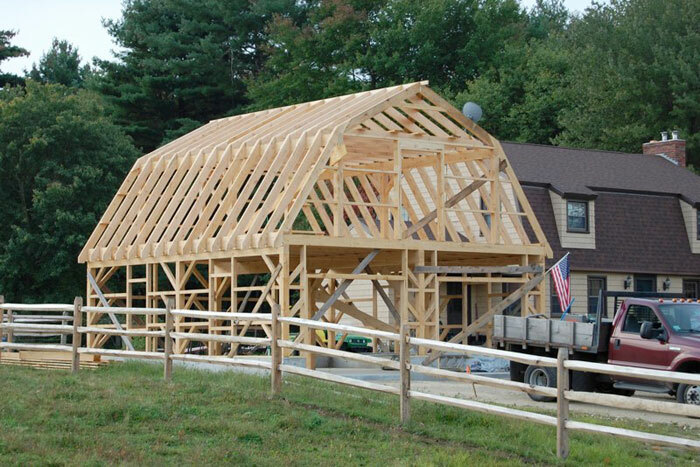 Since 1994 Sevigny Custom Barns of Northeastern Connecticut has been designing and building quality post and beam barns, homes, garages, pool houses and storage buildings. 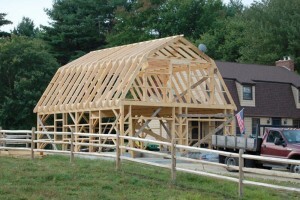 Sevigny Custom Barns specializes in post and beam construction with true New England tradition in mind. A basic post and beam building consists of placing vertical beams as supports, with cross beams attached at the top. Modern complex structures and timber trusses often incorporate steel joinery such as gusset plates. The steel is used for both structural and architectural purposes. The result is a free-standing frame, incredibly strong, with wide open, spacious floor plans. Another attractive feature of post and beam construction is that the beams are often left exposed in the interior of the home, creating a beautiful, warm appearance. 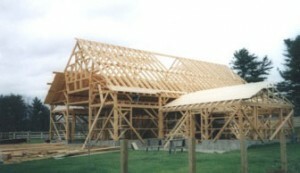 Will Sevigny offers custom post and beam building kits for sale – please call for more information. Copyright © 2014 Sevigny Custom Barns. All Rights Reserved.